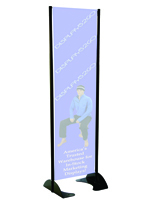 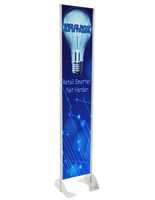 Use the 18” x 72” gray permanent banner stand to display your company’s logo, brand, or message effectively. 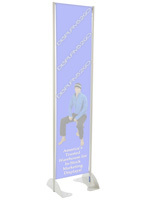 The aluminum base has a powder coated finish and can hold a large format sign with dimensions of 18”w by 72”h. 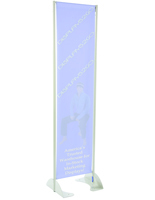 Please note that the unit does not include graphics. 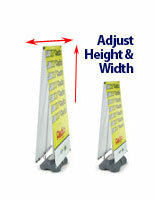 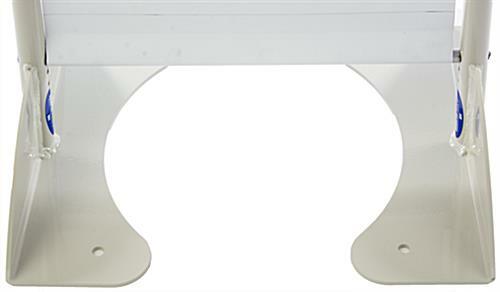 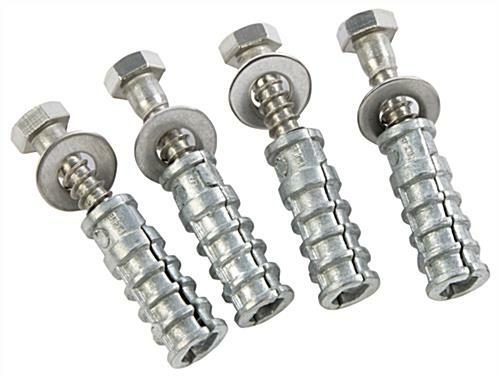 Mounted with a spring-loaded tension bar, your sign will be held tightly and can be changed easily. 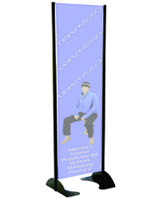 The sturdy banner stand is intended to be mounted outdoors as it can be bolted to concrete, wood, or other suitable materials and is designed to sustain most weather elements. 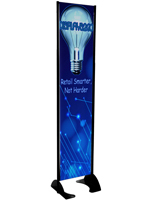 However, since it is free-standing, it can also be used indoors and works great in banks, restaurants, stores, trade shows, and more! 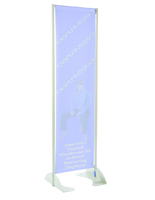 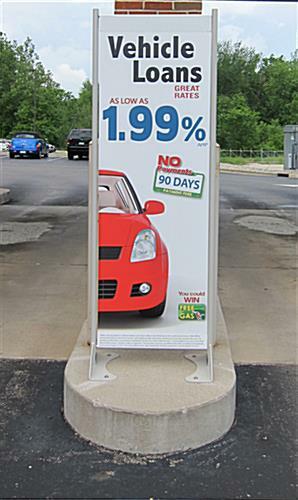 Use an aluminum banner stand outdoors to display your company’s large format message to the world!